Sending someone two dozen red roses is very special. You are almost guaranteed to impress your loved one and it doesn’t have to break the bank either. 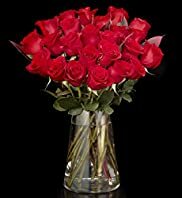 Have a look at our two dozen red rose selection below. Use code JAN2012 for extra 10% off & FREE DELIVERY!